Potential customers are using methods of distraction to shoplift merchandise. Some shoplifters work together in pairs or even in groups of three or more individuals. This teamwork allows the thieves to distract a staff member with one person while the others conceal merchandise to remove it from the store. In many cases, multiple shoplifters will steal items in different areas of the store at one given time. Shoplifters know that if they overburden your customer service resources that they stand a better chance of getting out of your store undetected. A Checkpoint system coupled with hard tags or labels compensates for a retailer’s distracted staff on the sales floor. If shoplifters attempt to steal or conceal merchandise items while store staff is distracted and then attempt to leave the store with them, the Checkpoint system alarms and alerts staff of the attempted theft. Loss Prevention Systems, Inc. is considered a highly regarded national dealer within the U. S. regarding Checkpoint Solutions and Alpha High Theft Solution products. We now have countrywide sales, equipment, and services. 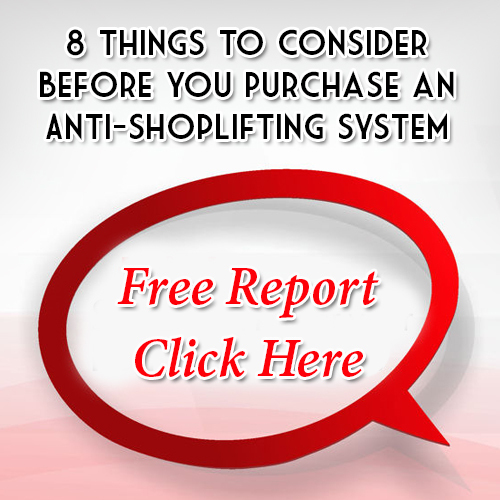 LPSI delivers much more than shoplifting prevention equipment. The expertise in retail industry shoplifting enables Loss Prevention Systems to deliver actual training and methods in loss prevention. Eliminate theft today with Loss Prevention Systems (LPSI) and Checkpoint Systems equipment. For more information on Shoplifting Prevention, stop by our website at www.LossPreventionsystems.com or give us a call at 1(866)914-2567.